My name is Cynthia Clampitt, and I am a writer, speaker, traveler, and food historian. Writing and speaking are how I share with others what I learn as I wander and research—and there is an amazing amount of stuff out there worth sharing. While my travels have taken me to 37 countries on 6 continents, I have in recent years been focusing increasingly, at least as far as writing books, on the American Midwest, both because it’s such a huge part of the food system in the United States, and because it’s where I live.. In October 2018, Rowman & Littlefield Publishers released my newest book, Pigs, Pork, and Heartland Hogs: From Wild Boar to Baconfest. 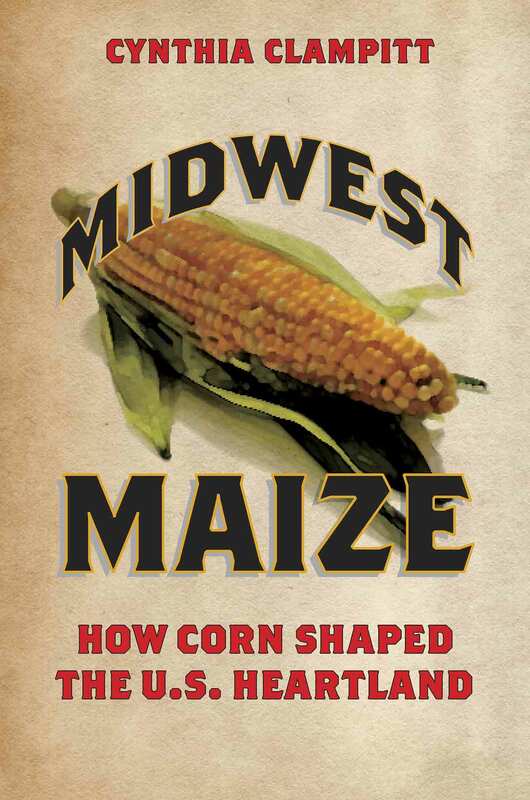 Though it is a new publisher for me, it is something of a companion to my 2015 book from the University of Illinois Press: Midwest Maize: How Corn Shaped the U.S. Heartland. If neither of these sounds exciting to you, it’s because you don’t know how astonishingly important these two foods are, not just in the American Heartland, but worldwide. Pigs, which have been associating with humans for more than 12,000 years, were the first food animals to be domesticated. Today, pork is the most commonly eaten meat in the world. As for corn, this 10,000-year-old grain has touched, either directly or indirectly, more than you can probably imagine—from vampires to football teams, assembly lines to time zones, literature, economies, international relations, and vastly more. Plus, of course, the snack aisle. However, both books offer more than fun anecdotes. Midwest Maize covers the sweeping drama of the total transformation of the world in the last 150 years, from agriculture (we were still using horses until World War II) to the kitchen (the advent of everything from the stove to canned and frozen food). Heartland Hogs explores the rise and fall of civilizations, the Age of Exploration, and the current popularity of all things porcine. Both books also explore the story of the explosive growth of the Midwest, both rural and urban, and of the people involved in building and defining the region, from the first settlers to today’s farmers, traders, and chefs. But those are the books. For the blog, I’ll be looking at all the things that I’ve learned while exploring the Midwest, whether it relates to the books or not. I hope to balance fun items with serious information here. In addition to talking about corn and pigs, I also want to use this blog to introduce readers to farmers and farming, food production, good restaurants, living history venues, recipes, and much more that highlight how much the Midwest contributes culinarily to the success and even survival of the United States. For food history and travel tales outside the Midwest, you can check my other two blogs (Waltzing Australia and The World’s Fare, links at right). I’ve been writing them longer than I’ve been doing this blog. But the time I’ve spent in the last few years traveling around the Midwest has led me to not only become enamored of my home region, it also made me fall in love with the people of the Heartland. So, this blog is something of a love letter, but also something of an introduction to others of what I have found to celebrate here. Thanks. It’s fun sharing these images and this information. It’s a more wonderful region than most people realize.